Definitely the kind of solitude I like and would like to see more of. Always love the quotes you add which invariably are so appropriate. 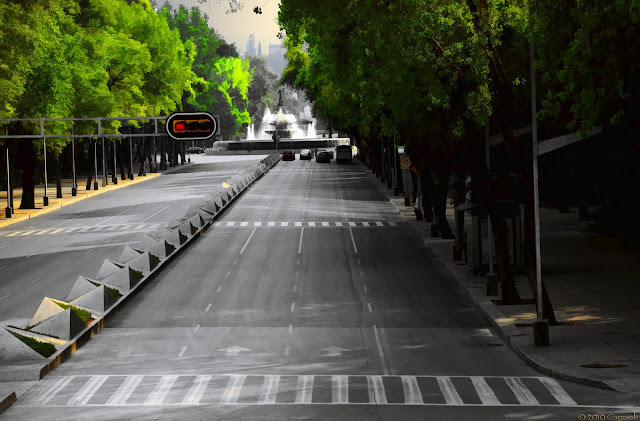 You must have taken this photo early: I cannot imagine Mexico City with an empty street! The city looks fresh from a good rest...as if it's just awakening. Lovely. Amazing shot! You hardly see it like that. A beautiful place to find it. I love this photo, actualy don't remember when was the last time I saw such an empty road!